The previous event, CEST2017, was the most successful event since the series was initially launched in 1989, with 460 participants from 75 countries originating from 6 continents (Europe, Asia, Africa, North America, South America and Australia). The programme included 415 oral and 253 poster presentations from 25 unique research areas. Participants also benefited from the interaction with 15 distinguished scientists that were invited and delivered keynote and plenary talks. 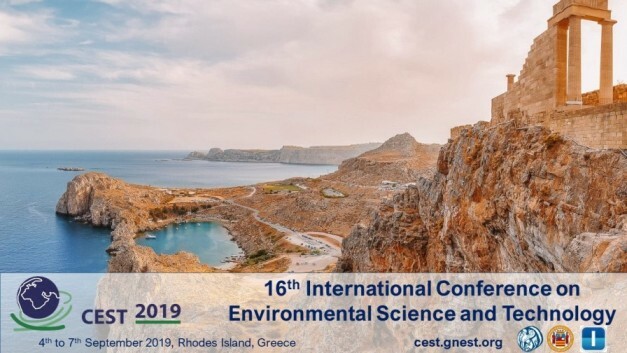 CEST2019, coincides with the celebration of the 30 years anniversary (1989-2019) of CEST series and we are aiming to make it a memorable event. More info as well as registration and submission of paper are available at http://cest.gnest.org. The abstract submission deadline is the 12th December 2018.